With an innate appreciation of beautiful things, Mashallah Ghouleh a Chicago based jewelry designer began her career in fashion, working in Chicago as a wardrobe stylist. After 8 years of dressing some of the city’s most influential people she began her journey of designing when friends, family, and strangers requested that Mashallah make them pieces of their own. With that MASHALLAH jewelry was born. Creating an inspired line that continues to evolve and grow along with her creative passion is Mashallah’s mission. 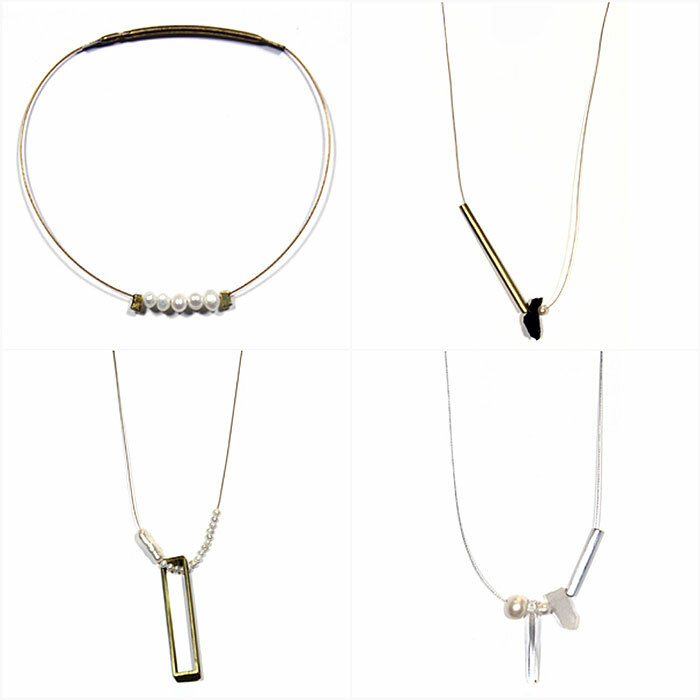 "I sought to create jewelry that signified my own individual style, fused all things I loved, and could be worn all the time." Ikram Goldman, a monumental fashion figure in Chicago and Mashallah’s aunt reinforced and supported her desires to work in the fashion industry. In Mashallah’s early years she helped her uncle Sahir Saman, a talented artist and owner of the Marji Gallery based in New Mexico. Mashallah is fortunate enough to exude in her own right the natural artistic talent of her family heritage, and both talented relatives have left an imprint of inspiration that has propelled Mashallah’s own design decree. "The emotion I endeavor to create for my clients is a casual edge, one that will make them feel dressed and complete the instant they put on my jewelry no matter what they are wearing"
The world of fashion is not limited to New York and Paris in the mind of Mashallah, however both destinations she loves. Mashallah is fashionably inspired by everyone and from everywhere. Everyday beauty and fashion from her travels to the Caribbean, Europe, and the Middle East encourage her to create. It is through these travels Mashallah has found that local artists who create outside the norm encourage her creativity and to never be afraid of creating eccentric accessories. To view more of MASHALLAH's work click here.